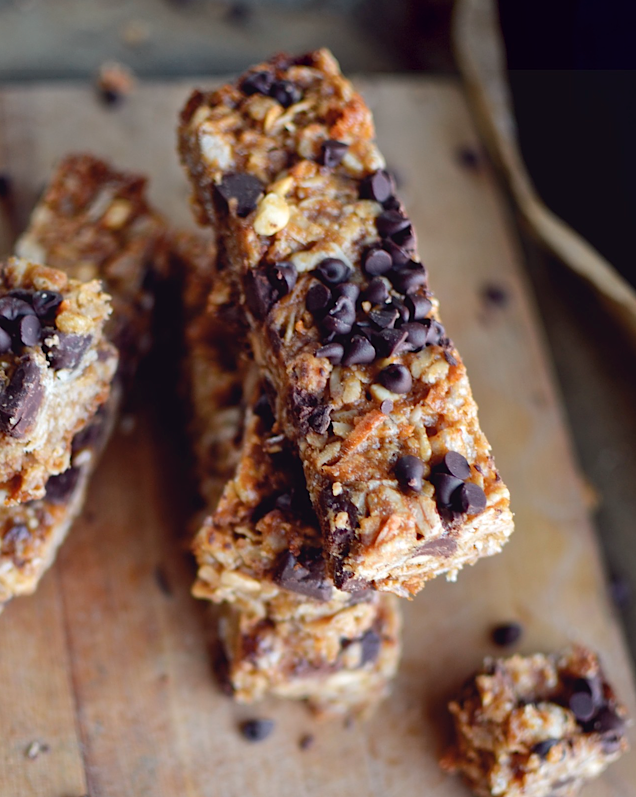 If you've been trying to find the perfect gluten free granola bar recipe for your whole life, if you've been dreaming of a fat chewy, chocolatey bar from heaven, you can finally lay your weary head to rest. This is the answer to your prayers. I first developed the recipe back in 2011. I've made them approximately one bajillion times since. I get requests for them so much in fact, that I decided it was time for a revival, a fresh new post with fresh new photos. 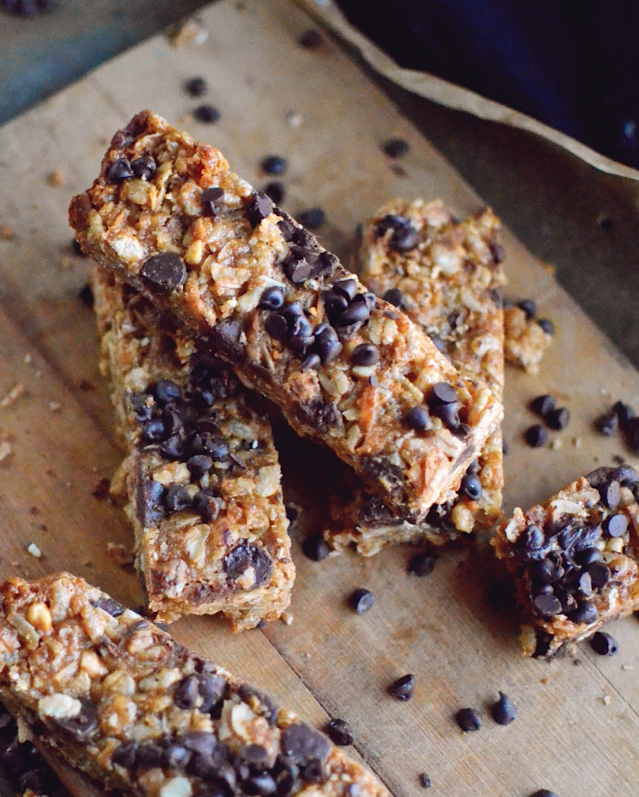 You all must know the glory of the most delicious granola bars on the planet. 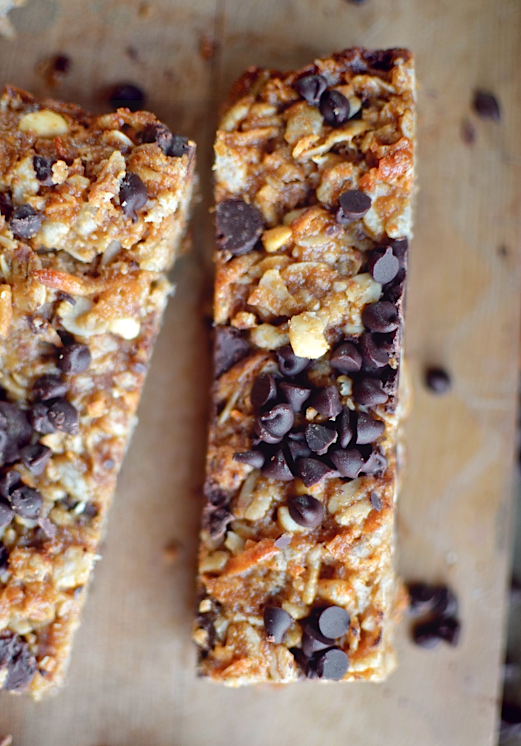 So make them now, and learn what every granola bar aspires to be. Line a 9x13 inch pan with greased parchment paper. Leave some paper hanging over the edge so that the bars will be easier to remove from the pan. Press the mixture firmly and evenly into the pan. Bake for about half an hour or until the edges are golden brown. 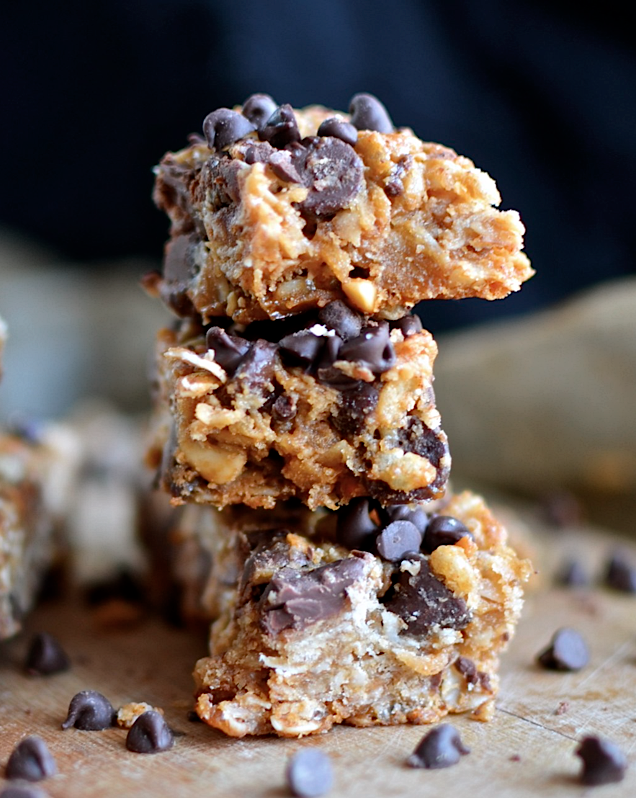 Sprinkle some mini chocolate chips on top if desired. Cool completely before removing from the pan and cutting into bars. Not Gluten Free? Check out my other blog!